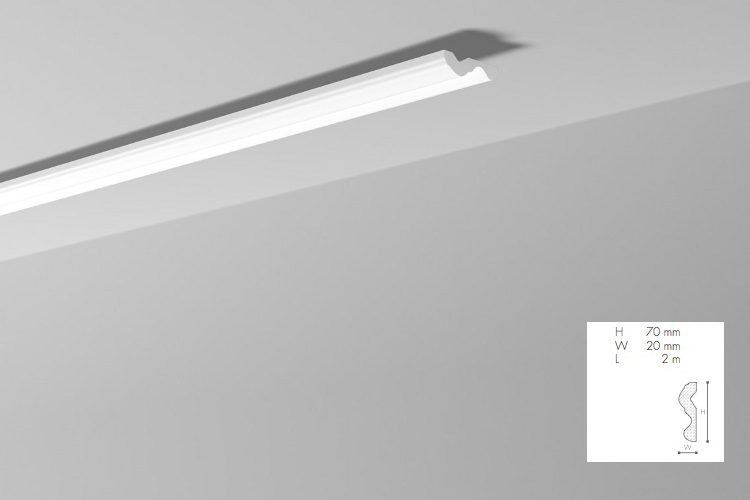 Minimum quantity for "N cornice strip 7 x 2 x 200 cm NOMASTYL NMC" is 2. Cornice strip GR is pre-coated with a primer paint, after installation, we recommend painting stucco with acrylic or dispersion paints to an exclusive finish of the product. Ceiling strip is resistant to moisture, shock and washing. The strip can be mounted close to the ceiling or on the wall to break the boundary between the contrasting patterns on the same plane. The strip is dedicated to arch N24 NOMASTYL.